Here are listed some solutions to common problems. I am getting the “api-ms-win-crt-runtime-l1-1-0.dll missing” error. How can i fix this? You are getting that error when running a Windows 7 installation that missed or rolled back some updates. in order to fix this, simply run Windows Update or install Visual C++ Redistributable for Visual Studio 2015. It looks like Zephyr can load the GPS information from some .TIFF files, but not from some other .TIFF files. Why is that happening ? Some software/devices will save the GPS information in the footer of the TIFF file rather than its header. This is a cause for very slow load time, so by default Zephyr will only read the header of TIFF files, as it’s the most common case. 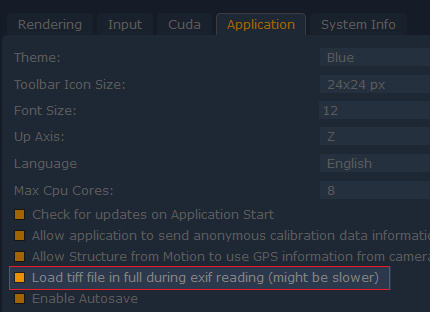 However, should you find some TIFF files with the GPS information in its footer, you can enable the full reading of the file in the Application Settings. Zephyr does not recognize my NVIDIA card. How can i fix this ? Make sure you have installed the latest drivers available for your card and operating system. You can download the latest drivers here. Why can’t I use Zephyr on a virtual machine or via remote desktop? You must use a remote desktop client that supports OpenGL 1.4, for example Splashtop or Hamachi Logmein. Avoid using Microsoft’s RDP, as it does not support OpenGL 1.4.